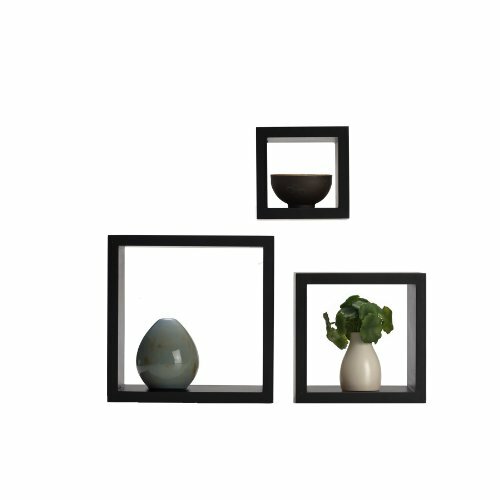 These Melannco Square Shelves can be used individually or combined for a unique geometric display. They are designed to provide a practical and stylish addition to just about any room. You can place this set of espresso shelves on a table or hang them on a wall. 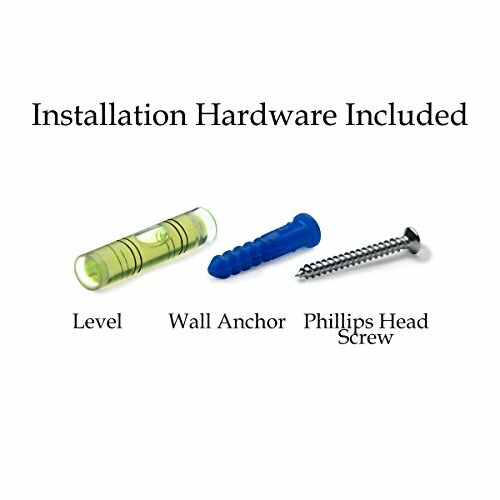 The necessary hanging materials, as well as a convenient template, level and instructions, are also included. All three of these wood shelves are in different sizes and support different weights. You can use them to show off keepsakes, such as collectibles or photos. They also can effectively display books or other items. 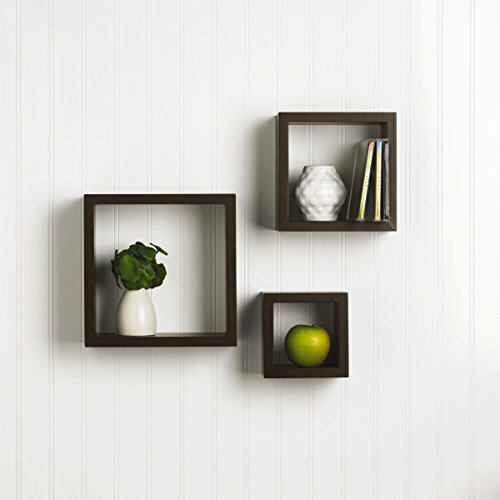 They are made of sturdy MDF wood and have a dark, espresso brown finish. The large measures 9x9-inches, medium measures 7x7-inches and the small measures 5x5-inches; holds up to 12 lbs., 10 lbs. and 8 lbs., respectively. This set of shelves will hang flush against the wall. Each shelf features 2 hanging hardware brackets. Clean with a dry cloth when needed. 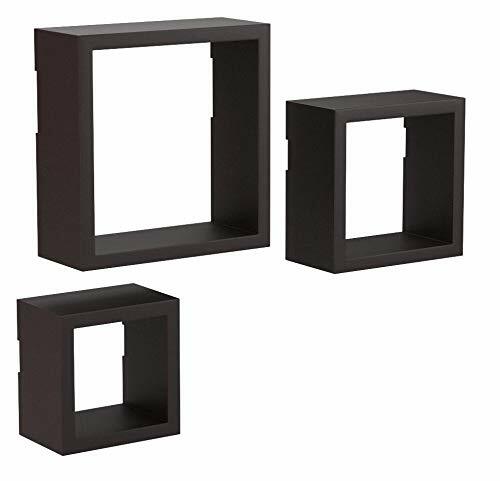 SET OF 3 SQUARE SHELVES: This set includes 3 square shelves; 1 small, 1 medium, and 1 large. 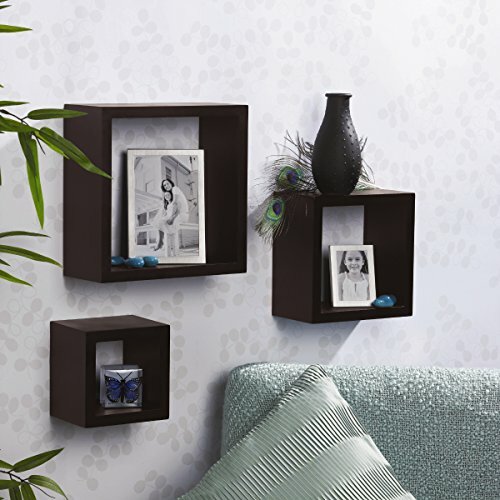 TIMELESS ESPRESSO FINISH: These shelves feature a timeless espresso finish that matches easily to any home décor. 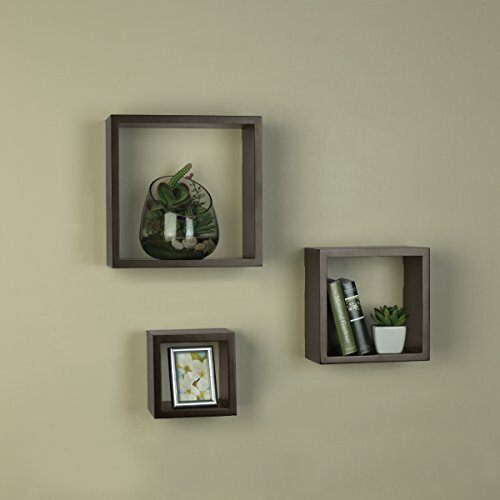 VERSATILE AND UNQIUE LOOK: You have the option to group the shelves together or hang separately for the perfect accent for any room; these shelves will hang flush against the wall. MADE FROM LIGHWEIGHT MATERIALS: These shelves are made from lightweight MDF wood. 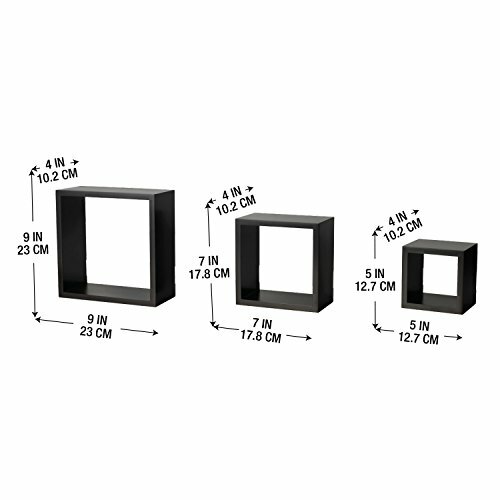 The large shelf measures at 9x9 inches, medium measures at 7x7 inches and the small measures at 5x5 inches. Each shelf is about 3.5-inches deep. EASY INSTALLATION: These square wood shelves are easy to hang. 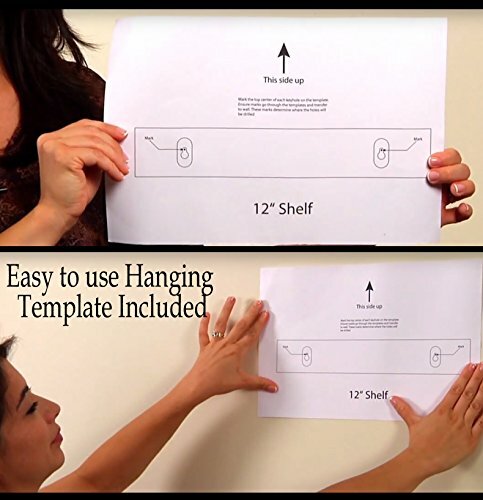 The set includes detailed instructions with hanging template, a small level, and hardware for easy mounting.